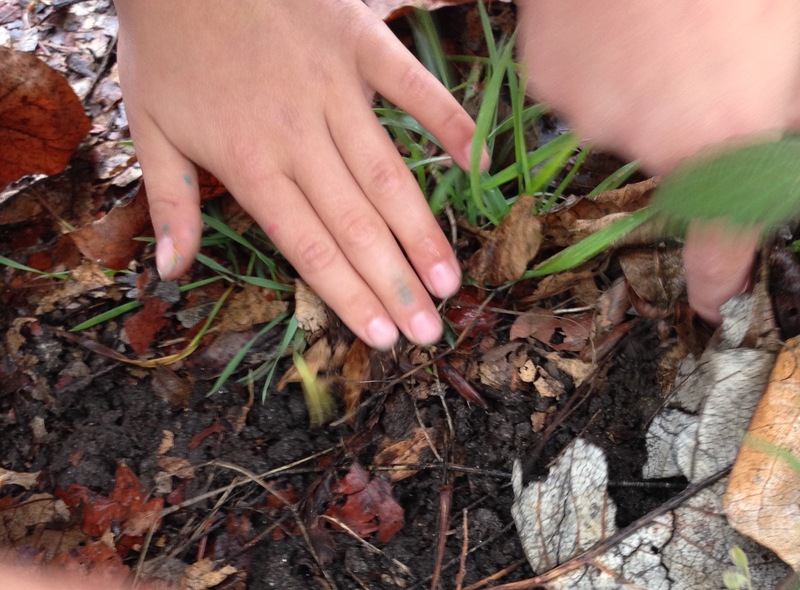 Look closely at a soil habitat for the living things living in it. Make a food chain from what you find. 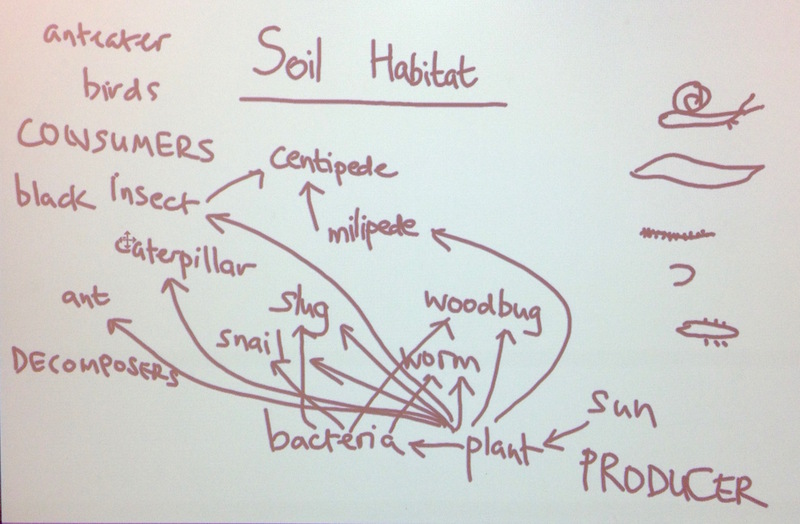 Look closely at the soil and list the animals and plants found in the soil. If animals were collected form outside, add them to the list. List students' finds on the board, and add invisible organisms - bacteria and fungus. 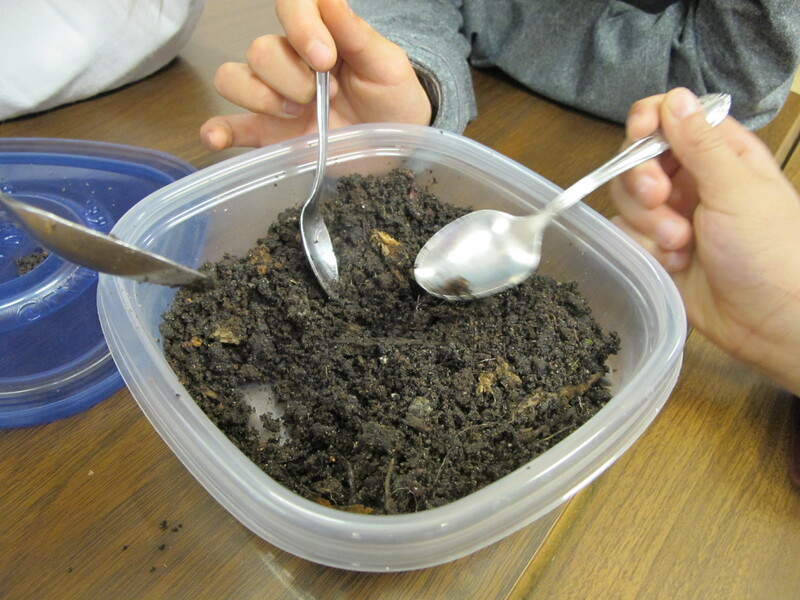 Students can smell the fungus in the soil - it smells like mushrooms. If studying habitats, discuss other components of the soil that make up a habitat: non-living things such as water and minerals. If studying food chains, discuss what each animal eats and start forming a food web, by adding arrows to the list, connected by who eats who. Include plants, which need the sun's energy, and which are eaten by bacteria, fungi and other animals. Discuss animals’ role in decomposition and how important it is - they remove all the dead stuff, plant and animal, and break it down into smaller molecules that other organisms e.g. plants can use.